God showed us His passion for vivid colors the other day. 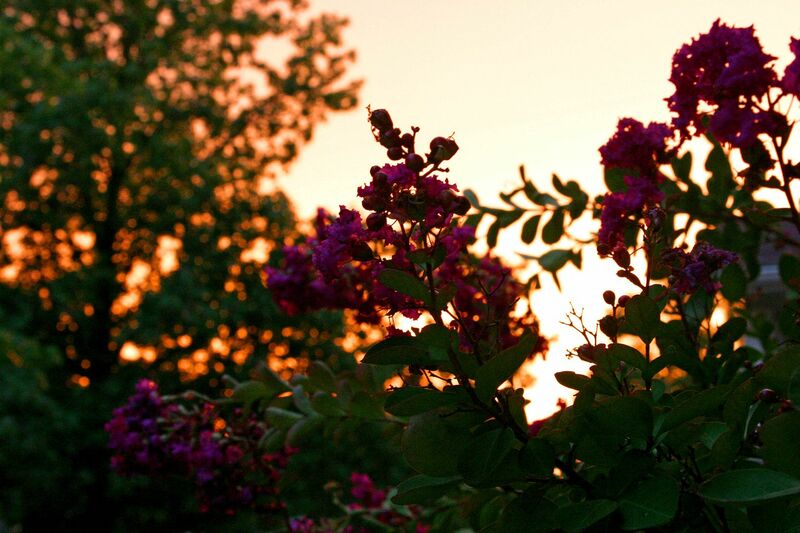 The sunset was completely orange and was so striking against my purple crepe myrtle. I love how He changes it up all the time. If we had orange sunsets every night, we'd stop noticing them. Beautiful! God's paintbrush is ever changing and ever wondrous. Great post, Beki! I've found myself wondering lately if there will be new colors in heaven. Pretty cool thought, I think.